Why Choose Gamer Camp: Pro? 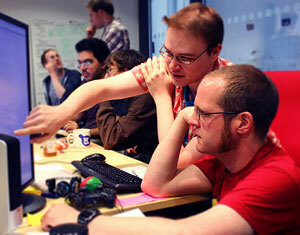 Gamer Camp: Pro is your first experience of working in the games industry. Some games courses cast students as games designers working on their own little islands, yet AAA games companies (and most indies) don't work like this. What our developer partners, who helped designed the course, really ask for, are graduates with tangible experience contributing to a team on a real game. So, central to Gamer Camp is the experience you'll get of working to deadlines as part of multi-disciplined, project team to produce playable games to a professional standard. 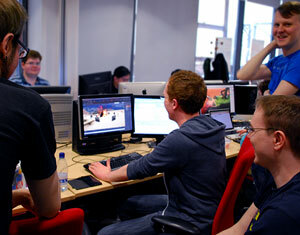 Students work in a simulated studio environment over full-time office hours, four days a week, on real game briefs set by one of our partner developers. Gamer Camp was also selected as a best practice example in the recent HM Government report commissioned by NESTA (The Livingstone-Hope Skills Review of Video Games and Special Effects). To develop your ability to create games across a number of platforms for a variety of different audiences, broadening your employment opportunities post-Gamer Camp. When recruiting, games companies are really interested in portfolios, they want to know the games you've worked on and what role you performed in their development. By having at least three games in your portfolio you can provide tangible evidence of your skills and experience within job interviews. Uniquely for a UK games course, on Gamer Camp: Pro you'll be making games using real Sony development kits, not to mention a suite of industry-standard software. Our close ties to Sony Computer Entertainment Europe (SCEE) mean you'll be working on Sony PS4® development kits. On top of the console hardware, Birmingham City University also provides Maya, 3DStudio Max, Adobe Creative Suite, Visual Studio, Perforce Source Control and other software tools to recreate the technical environment you’ll be working in after graduating from Gamer Camp: Pro. 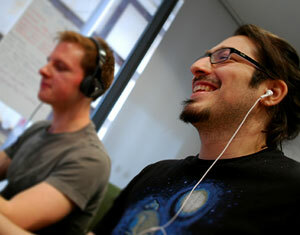 Again, almost unique in UK higher education, we have professional game developers from some of the UK’s most successful studios conceiving, designing, teaching, mentoring and assessing each Gamer Camp course. There is a core teaching and support team that includes Iain Harrison, who has worked as a Digital Artist for over 18 years, 15+ years’ of which have been in the games industry, working for companies including Free Radical Design, Supersonic Software & Eurocom Entertainment Ltd, and Zafar Qamar, who has spent more than 20 years working for companies including Psygnosis, Swordfish Studios, Codemasters and FreeStyleGames. On top of the core team, we're lucky to have a wealth of guest mentors from industry partners who will monitor and review your work periodically, and occasionally deliver highly specialised masterclasses. This heavy industry involvement ensures that Gamer Camp remains relevant to the latest working practices of the games industry, whilst providing you with an ideal cocoon in which to develop the skills and experience you’ll need for a successful career. Gamer Camp: Pro isn't just about making games. 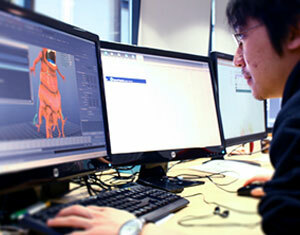 In addition to providing highly specialised technical tuition in games art or programming, we also instil broader project skills in you to further lift you head and shoulders above other graduate candidates. Plus other skills to ensure that you’re work-ready. Crucially though, the on-the-job aspect of Gamer Camp will provide you with the key experience of working within a studio environment and becoming a productive reliable member of a project team, in close proximity to host of senior professionals from the games industry.